Does Paprika support Family Sharing? Do I need to purchase each version of Paprika separately? How do I purchase a gift copy of Paprika? 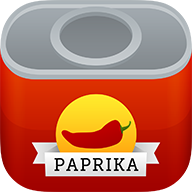 I previously purchased Paprika but do not have it installed anymore, can I reinstall it without purchasing it again? Is there a trial version of Paprika for Mac? How much does Paprika Cloud Sync cost? I accidentally purchased the iPhone version of Paprika for my iPad. Unfortunately the Google Play Store does not currently support Family Sharing for in-app purchases. If they offer support for it in the future then we will be able to enable it. The Windows version of Paprika is sold directly with a license key and does not support Family Sharing. Instead, you can use your license key on up to 3 devices. Will Paprika 3 be released for Windows?